No is a commanding word. It can be a denial, rejection, an expression of fear or an unintended statement of worth. But a thousand no’s can be dwarfed by the power of one yes. No is a brake while yes is an accelerator pedal. We say yes to the stuff and people we value. Here are 7 ways parents can say yes to their kids. 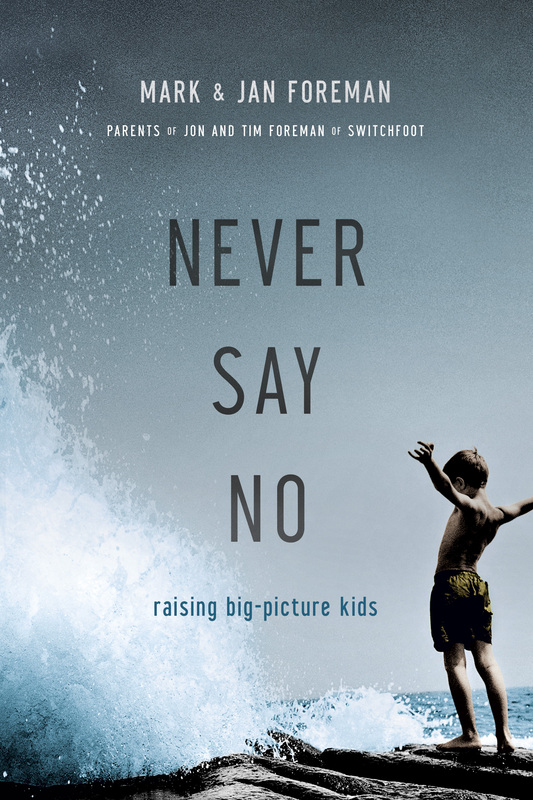 1) Yes to a Greater Story: Help kids see past themselves, connecting them to God’s big picture of redemption. Beyond the obvious but small goals of safety, health, happiness, even success, we are raising children with this surpassing privilege: to reflect God’s loving face to others. 2) Yes to being an Example: Children are hard-wired to copy us; this is both good news and bad. The power of our lives is the most immediate way to shape our kids. Raising children includes raising ourselves to become who we want to be. 3) Say Yes to Time: Children spell love T-I-M-E. It’s the currency of all relationships. Large deposits left early in lives will reap generous rewards later. It reverses Harry Chapin’s song, Cat’s In the Cradle. 4) Say Yes to Delight: Children see themselves through their parent’s eyes, discovering their worth by reading our faces. Beyond loving our kids, it’s equally vital to really like them, enjoying who they uniquely are. Children who bask in these smiles of appreciation will pay it forward to genuinely enjoying others and being comfortable in their own skin. 5) Say Yes to Mess: All children are Michelangelo’s looking for a canvas. They come equipped with curiosity and innovation as part of the image of God package. This creativity grows best when we stretch their imaginations in a batteries-not-included environment, allowing them to explore and experiment. 6) Say Yes to Being Naturally Supernatural: Help kids find God in ordinary moments. The Shema in Deut. 6:4-8 tells parents to look for God-clues throughout the day. We can communicate more theology in a family dance party or telling stories around a campfire than sitting stiffly for an hour. 7) Say Yes to Letting Go: Maturity happens in baby steps: from crawling to walking, training wheels to two wheels, dating to marriage. Three ingredients that work together are essential for this process: increased freedom, risk, and responsibility. As we lean into this gradual increase of our kids’ freedom and (gasp) risk, we will hopefully see a corresponding growth in their response-ability. It’s helpful to remember our destination: raising kids who say yes to God’s extraordinary plans for their lives. Every parent, child and family is a fascinating original, experiencing God’s fingerprints in unique ways. So one final yes is to grace. As we imperfectly guide young humans to find their place in God’s epic, we all need buckets of God’s unearned love. Raising children is the most humbling and exhilarating privilege on earth. Here’s to saying yes! A Lesson in The Power of Sharing! Join Captain Cuke (Larry the Cucumber) and his loyal first officer, Mr. Spork (Bob the Tomato), as they embark on an out of this world adventure to bravely travel where no Veggie has ever been. The entire USS Applepies crew takes on Luntar the Looter, a power stealing space pirate, but they’re in for a big surprise when they find out what’s motivating him! I’ve said it before, but it’s worth repeating: I’m a sucker for a really good spoof. 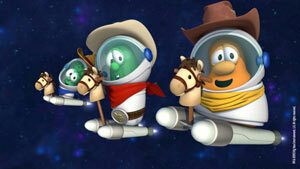 Spoofing popular stories and franchises isn’t something foreign for the VeggieTales team. Even since the first episodes of the series, Star Trek was spoofed when Bob and Larry enlisted Junior’s help to save the U.S.S. Applepies in an attempt to teach him a lesson in friendship. The vessel’s faitful crew finally makes a return to teach a lesson in sharing, something parents of any young child will be chomping at the bit to present to their children. As a father of a 3-year-old little boy myself, sharing is a concept and theme I have yet to fully get through to him. He’s starting to make some progress, thankfully, but he still is quick to declare “mine!” when I just want to look at or touch a toy of his. We encourage him to “share” his belongings (and food) like we share with him, but he is still often reluctant. Veggies In Space: The Fennel Frontier finds the U.S.S. Applepies to be completely foreign to the idea of sharing, and the selfish crewmembers eventually get a pretty hard lesson in what it means to share with each other. The story makes rapid-fire jokes and references to famous and popular sci-fi pop culture that parents will mostly catch and appreciate. Movies and franchises like Star Trek, Star Wars, Doctor Who, Apollo 13, Hitchhiker’s Guide To the Galaxy, E.T., Back To The Future and even 2001: A Space Odyssey are all given direct nods or have lines borrowed from throughout Veggies In Space. It’s clever, funny, and deliciously shameless. The wooden bridge cutting through the Captain’s bridge on the Applepies and a floating audio-recording log acting as the Captain’s Log are just a few of the witty and silly spoofs that litter this episode. It’s always entertaining and fun and it helps keep things light as the lesson in sharing develops. One of the funniest moments, and surprising given the release dateof this in conjunction with a film so recent, is the opening shot of the episode being a direct goof on the Academy Award-winning 2013 film, Gravity. From the lonesome, lost shot of Larry “floating in space” (against a wall of glow-in-the-dark stars), to the sound suddenly cutting out just like that film’s score frequently utilized — it’s just wonderfully executed. And it sets the tone for what’s about to unfold beautifully. The episode is also pretty action-packed for a VeggieTales episode — with giant, Veggie-manned (can you say “manned” when involving vegetables?) robot suits (think Avatar) briefly fighting to fiery popcorn meteor showers and some space-tacular explosions, it’s one of the more action filled episodes in the Veggie catalog. However, it’s never directly perilously violent, so I wouldn’t worry too much for the little ones. It’s probably just a little more action-packed than the recent Incredible Vegetables episode. 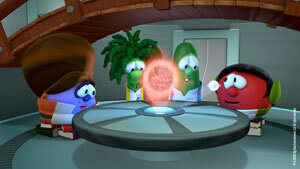 Fun, silly, fast-paced and witty, Veggies In Space is everything a parent and child could ask for in a VeggieTales episode. It’s an original tale driven by great and easily recognizable references–both in dialog and visual form. Everything from the rolling pin nacels of the Applepies to a well-placed use of “It’s a Trap!” and “Houston, we have a problem” is darn good fun and entertainment with a message for all ages to cling to. Former Superchick vocalist Tricia Brock has been very busy since the band retired from the road. When she hasn’t been writing and recording for her new solo album, Radiate, she’s been busy adjusting to her new life as a mother. Jesusfreakhideout.com’s Roger Gelwicks recently addressed the musical side of Tricia’s solo career, while John DiBiase talked to the young mother about raising little Ava. We’ve included part of the JFH interview below as well as exclusive questions regarding her experiences with a miscarriage before having little Ava. This interview took place on: 7/29/13. JFH (Roger Gelwicks): Songs like “Good to Be a Girl” and “Mirror Mirror” remind me of past Superchick songs like “One Girl Revolution” and “Barlow Girls.” What prompted going back to these sorts of themes for Radiate? I think the 15 year old, tall and way too skinny, zits-on-my-face Tricia is still in there. I just feel the way we view ourselves shapes us so much and it affects us way beyond our teen years. We are being shaped and changed throughout our entire lives, so I think we can always use these reminders. I now have a little girl, Ava, and I think some of these songs like “Daughter of the King” came out because of how I see her, want to love her and show her how to really love herself. They are songs I would want her to hear when she’s 12 and when things are getting tough to be a girl. JFH (Roger): Which song from this new record do you connect with the most personally? I would say my song called “What I Know.” It’s a song about the places in life where maybe things aren’t turning out the way we want. We might not have the answers we’re seeking, but we know His ways are higher. That He is good. He never lets us go. So we choose to hold to what we know and not just what we feel or see in circumstances around us. Some days, we don’t even have the words to pray to ask for His help. The words of this song feel so real and raw. I know that every person who hears it will say, “Yep, I’ve had those days.” Laying there worrying about our tomorrows because the weight of our unanswered questions are so heavy, sleep just escapes us. It is a beautiful song about real, honest faith moments when we choose to believe what we know and not what we feel. I’m leaning on that truth more and more as a woman and a wife and a mom. JFH (John DiBiase): How has parenthood affected the way you make music/ write songs? JFH (John): Do you have any advice for young parents? Yes, it was our first pregnancy and that made it so scary. When we went in to hear the baby’s heartbeat at eight weeks, they saw that the baby wasn’t growing at the right rate and something was wrong. That was still a couple weeks before we knew we lost the baby, and then even a couple more weeks until I had to have surgery because I never miscarried. It was so hard for me emotionally accepting it. Then, dealing with fears about the next baby and wondering if I could go through that again. I think I learned to accept some things without all the answers. And God definitely provided healing for me through worship. We were traveling that year leading worship and those songs on my record The Road became a lot of healing for me. Especially the song “The Altar.” I look back now, and since having Ava…God makes sense of things. He brings us through things for a reason and He walks through it with us. Somehow when you look back you can see His hand and His purposes, and it can make sense without having every one of our ‘Why’ questions answered. JFH (John): A lot of people don’t talk about miscarriages. What would you like to say to anyone struggling with a loss like that? I noticed that and I felt like it was something I was supposed to share. Communicating can be really healing for me, but I know it is very personal and some couples need it to be their thing to deal with and not share. I think that men need to understand as hard as it can be for you, that your wife needs a lot of love and support. Women – [you need to] know that it isn’t your fault, and going down that road is so hard on you. I had days out of nowhere that it would hit me again and it was sometimes hard for my husband to understand, thinking we had moved on, but I needed his patience and love more than ever. It’s one of the hard things we can never understand about life and about God. So, Nick and I chose to think that there was a reason that baby isn’t with us and is in Heaven. We choose to trust that there are reasons we don’t always understand and try to leave it there. This story is the first of many that popped into my head! So, Ava was just a few months old when my sister [Melissa] got married. My sister owns a flower shop called Rosebuds East in Nashville and she had one of the most beautiful DIY weddings I’ve ever seen! The wedding was in their beautiful backyard, which they designed. She made all the bouquets and made Ava a little headband (Ava doesn’t have much hair yet, so we use accessories to keep her looking like a girl). So, I saw Ava’s headband and put it on her before we did family pictures…and it wasn’t until later in the day that Melissa told me that I had put the garter on Ava’s head, not her headband. We laughed so hard, but the funniest part is, it looked so cute that we had her wear it all night and Melissa didn’t even throw it out. Oh, babies change everything!! 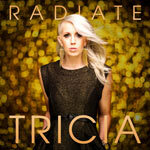 Tricia Brock’s new solo album Radiate is available August 13, 2013 wherever music is sold! FREE MP3 Download from North Point Kids! 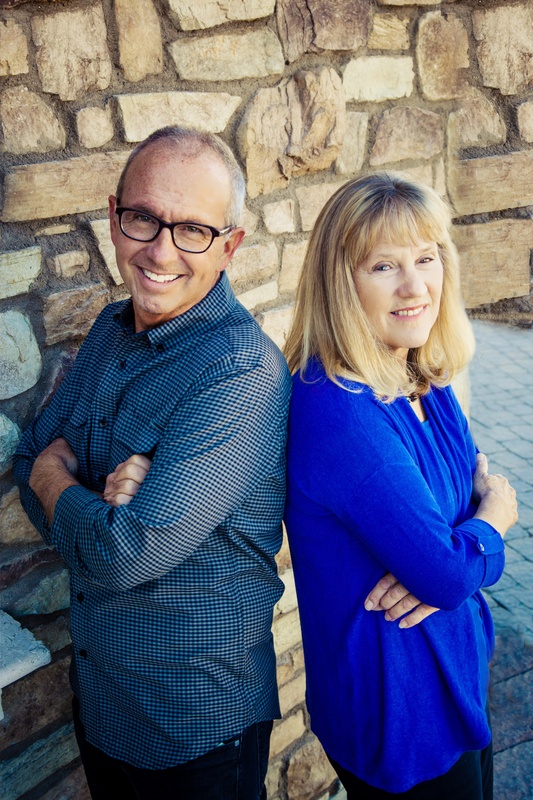 Check out the song “Your Love For Me” from North Point Kids new album SHINE! The album released April 9, 2013 and you can get it now on Amazon or iTunes! Big Idea Presents the VeggieTales Live! Happy Birthday Bob & Larry Tour Beginning March 1! YOU’RE INVITED TO A VEGGIETALES® BIRTHDAY CELEBRATION! FRANKLIN, TN (February 4, 2013) — Big Idea Entertainment, a leading studio and producer of children’s and family programming, characters and brands, announced today the official tour dates for their brand-new VeggieTales Live! Happy Birthday Bob & Larry tour. The show will run in over 35 major markets nationwide this spring including Nashville, TN, Kansas City, MO, Atlanta, GA, Birmingham, AL, Tallahassee, FL, Fort Myers, FL and more, in addition to a seven-day tour run in Canada. 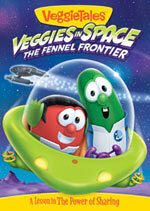 For the current tour itinerary, ticket information and group sales, please visit veggietales.com/live or iTickets.com. World Vision® has partnered with Big Idea Entertainment as a sponsor for the VeggieTales Live! Happy Birthday Bob & Larry tour. Through World Vision’s child sponsorship efforts, countless lives have changed for children and their whole communities by providing access to necessities like clean water, health care, education and much more. Big Idea Entertainment is celebrating 20 years as a leading studio and producer of children’s and family programming, characters and brands. Big Idea’s best-selling series VeggieTales® is a one of the most recognized brands in the US with moms of pre-schoolers*. Since 1993, VeggieTales® has sold 60+ million videos, 13 million books and more than 7 million CDs. VeggieTales® and Big Idea’s property, 3-2-1 Penguins!®,enjoyed four seasons as top-rated series on NBC Saturday mornings, Telemundo and ION TV. The studio’s two theatrical releases, Lionsgate’s Jonah-A VeggieTales Movie® (2002), and Universal Pictures’ The Pirates Who Don’t Do Anything®-A VeggieTales Movie® (2008), are distinguished among the most successful faith-based films of all time. Big Idea also maintains an extensive presence in publishing, licensing and live entertainment arenas. 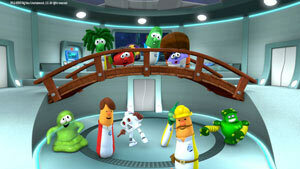 For more information on Big Idea, visit: www.VeggieTales.com.